In the wake of the cheating scandal that is still rocking USC, the editorial board of the school's student-run newspaper, the Daily Trojan, published a scathing article that takes the university to task for its many, many scandals. The editorial accuses USC, among other things, of "roll[ing] over and act[ing] helpless after it has turned a blind eye toward the systematic abuse of power happening under its own roof." The article went live on Monday, and calls out USC administrators for perpetuating an official culture that has little to no oversight, leaving the door open for corruption. In the opening paragraph, the writers state that it is "hardly surprising that USC is at the epicenter of a national investigation into college admissions fraud." All of these abuses of power combined, the editors note, add up to a "gross, unforgivable negligence." In an email, the Daily Trojan's managing editor Eileen Toh told LAist that she believes the editorial gives voice to what many students on campus are feeling and thinking. "The Daily Trojan is an independent, entirely student-run newspaper," she said, "so we believe that the sentiments expressed in our editorial board are representative of not only our editorial board members, but also the student body." In the article, the editors call for USC to conduct routine internal reviews, and to ensure that "no one person or body is responsible for making major decisions." Until that time, they write, "we can only look upon our University with disgust and outrage." The editorial's publication coincided with a statement from USC officials on Monday, which said that students involved in the cheating scandal will not be able to register for classes or access their transcripts while their cases are under review. According to the statement, the students in question may have their admission revoked, or face expulsion. 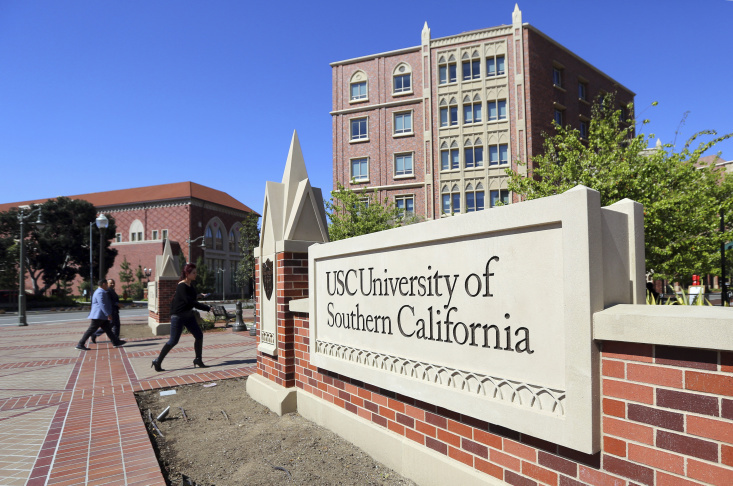 Meanwhile, USC low-key announced on Monday that it's hiking undergraduate tuition by 3.5 percent, bringing the cost of attending the university for the 2019-2020 school year to $57,256.